I started it last night and I haven’t been able to put it down. When I got the yarn – the DMC Perla ‘8’ I was telling you about – I thought, oh no, it’s like thread. Don’t get me wrong, I was expecting it but it still seemed awfully thin. And the hook? Practically invisible. But once I got going, each of those teeny-tiny chains built up so quickly that I had to keep going. When you see it worked up, the yarn doesn’t even seem so thin anymore. Speaking of the yarn, it’s the exact same consistency as the Perla ‘3’ even though it’s thinner. It has the same subtle sheen but isn’t slippery. The next favouritest* thing about this project is the hook. The really tiny Clover soft touch hooks come with a metal hood to pop on when it’s not in use so that it doesn’t tear up all and sundry in your project bag. Very cool. *In the job I started in February, I inherited a class of young kids, between 6-8, who regularly rank their ‘favouritest’ things for me. This is usually part of their ‘can I tell you something’ section of the lesson. Yesterday, I debated with a 6 year old girl why the semibreve was her favourite note. I said, what about the dotted minim, with her beauty spot and three beats? (We had just learned about it) She said, well, she’s my next favouritest. Cute, but doesn’t come close to a normally taciturn 7 year old boy I have who, a few weeks ago, suddenly felt compelled to tell me about how they have an electric keyboard that lights up when you play it and then the cat got sick and then it threw up on the keyboard and now it doesn’t light up anymore and it smells funny. Believe it or not, I still knit. 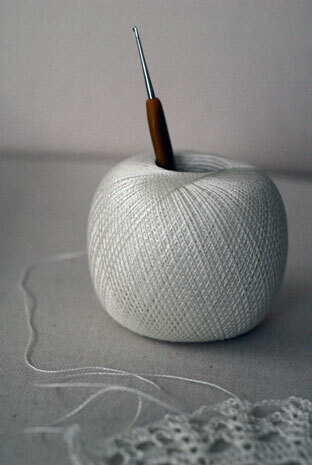 The funny thing is that when people say, oh, you’ve stopped knitting, I tend to agree – even though I have knitting in my bag, I knit on the bus, the train and in the evenings…! My knitting has slowed down to pretty much the most mindless projects. This is indicative of my life generally; I’ve been in some sort of post-wedding fuzz for the last six months and am only now waking up properly. Anyway, this is what I’ve been working on. Some crochet kitchen things – a towel and some cloths. I made these mostly to just try out a new crochet cotton This is Knit has started carrying, DMC Perla. I got the medium weight one, I think it’s ‘3’ and used a 3.25mm hook. It’s really nice to work with – not too shiny – and can you believe I got all of these items from just one ball? I came across a really pretty crochet scarf here and am thinking about using the lighter weight (‘8′ I think) to make it. Scary as Japanese patterns may seem, the crochet diagrams are usually extremely clear. 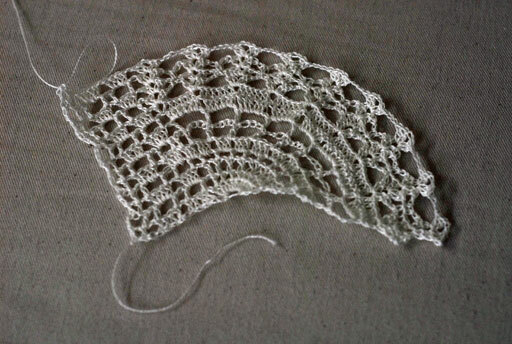 Another yarn I wanted to try out, though it’s not very new by this stage, was the Rialto 4-ply lace. 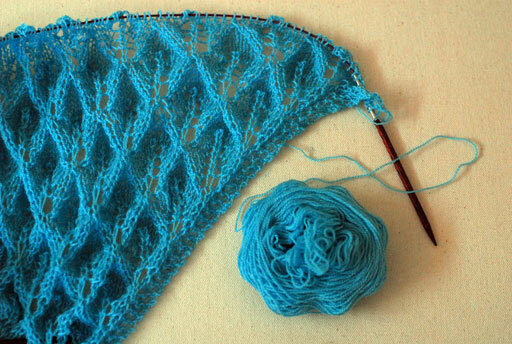 What better than yet another Kiri shawl. 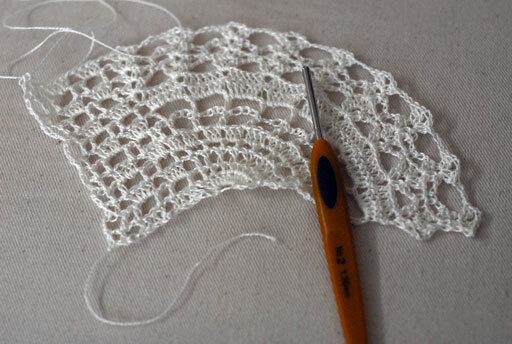 I pretty much have it memorised by now so it’s about as close to mindless lace as I’m going to get. 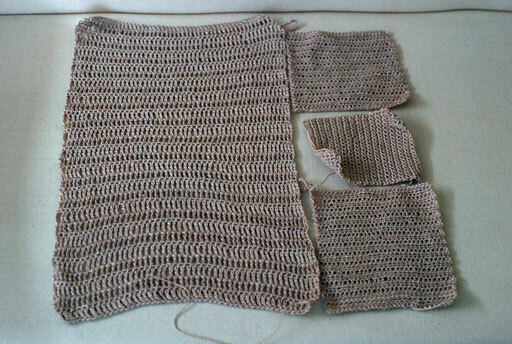 The yarn is lovely, good value for money, and I’m looking forward to seeing how it blocks out. I have been very, very slowly chipping away at Bedford. 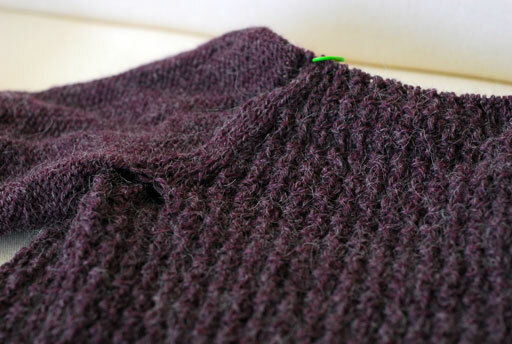 Lately I’ve stalled out because I need to look at the instructions for the neckline. I wouldn’t mind but it is about 3″ from being completely finished. I’m not even waiting to knit sleeves or anything. I should just finish it. What else? Oh yes, I found this when I was tidying up. Handspun! Really nice, consistent handspun that I obviously made but have no recollection of whatsoever. I found other handspun, too, that I know I must have made in the last six months but don’t remember at all. It’s kind of depressing but on the upside, it’s all new again to me! 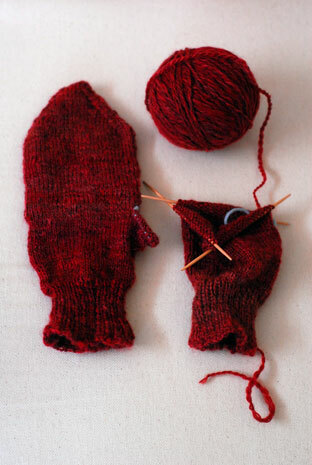 The mittens are kind of important because my old ones finally bit the dust. 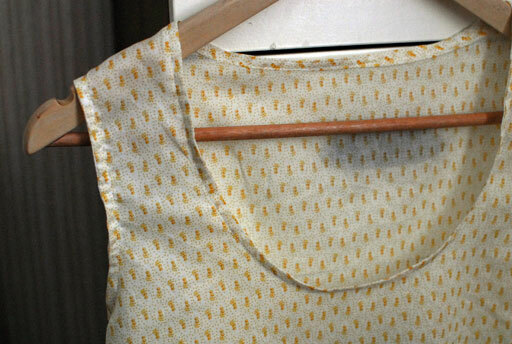 Aaaaannndd… I’ve been sewing. 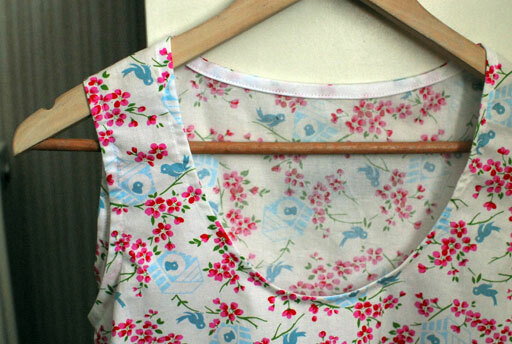 Sewing, even when it seems slow, is pretty quick. 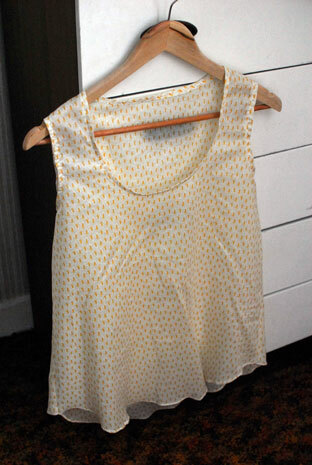 Here are two Wiksten tank tops. 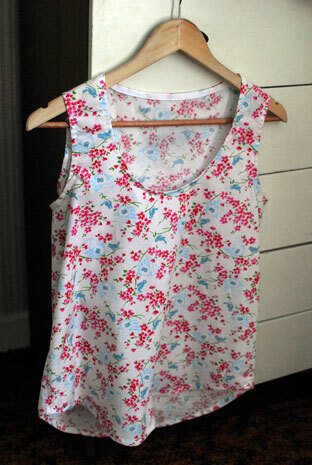 The first is out of some soft voile cotton that I found in the bargain bin in Hickey’s a few months ago. It is quite light so I had my usual problem of a ‘lippy’ neckline. Considering that I will probably just end up using this as a pyjama top, I don’t mind too much. I’m not getting any hopes up for a hot summer, let me put it that way. But it was a fun and quick pattern to make so I made another! This time using the beautiful quilting cotton I picked up at Pippa Blue. Love!